Norfolk County was formed in 1691 when Lower Norfolk County split to form Norfolk County, which is the present-day Norfolk, Chesapeake Bay and parts of Portsmouth. Norfolk was incorporated in 1705 and in 1736 and King George II granted Norfolk a royal charter. Many of the most legible county records begin during the mid 1700s and feature several generations of the oldest families, such as Creekmur, Bruce, Godfrey, Fentriss, Jolloff, Lewelling, Powell, Calvert, Lee, Wilkins and McPherson. Virginia Pioneers has undertaken the project of digitizing most of these old wills and the website features Will Books 1651-1656, 1747-1759, 1755-1772, 1760-1762 and 1772-1788, (being added now). The monumental project offers hundreds of old documents. 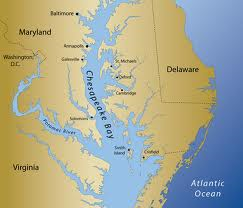 Since some of the earliest immigrants into Virginia settled in the vicinity of the Chesapeake Bay, it is recommended that researchers search here for ancestors. Actually, all of the oldest settlements should be researched.